Positive interactions are cooperative relationships between species that result in better growth, reproduction, and survival for at least one species involved in the interaction, without negatively affecting the other species (Morin, 1999; Stiling, 1999). Positive interactions influence biodiversity by creating alliances between species that allow them to coexist. The benefits of these associations are numerous. They include the provision of food, habitat, and more specialized services such as pollination, dispersal, predator defense, and reduction of physical stress. There are two types of positive interactions, mutualisms and commensalisms (Morin, 1999; Stiling, 1999). Mutualisms occur when all species involved gain some benefit from the interaction. Well-known examples of mutualisms include the positive effects generated between fungi and algae that produce lichens found on rocks or trees, corals and microscopic algae that form the ocean's tropical reef systems, flowering plants and their insect pollinators, and fungi or bacteria and the roots of most plants on earth. Commensalisms occur when at least one species benefits from the interaction but the other species have a neutral response. Commensalisms include common and general relationships, such as trees providing living space or attachment sites for birds, bee hives, or orchids. 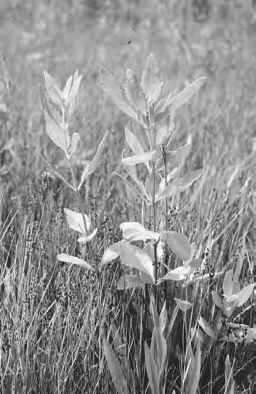 In addition, animals including beavers, earthworms, and prairie dogs can physically modify or "engineer" habitats, creating more hospitable conditions or greater resources for other species. the complete digestion of plants. Without these gut associates or symbionts, the majority of the energy and nutrients contained in plants would be inaccessible to the host species. In turn, the symbionts live in a world bathed with food and constant temperature. 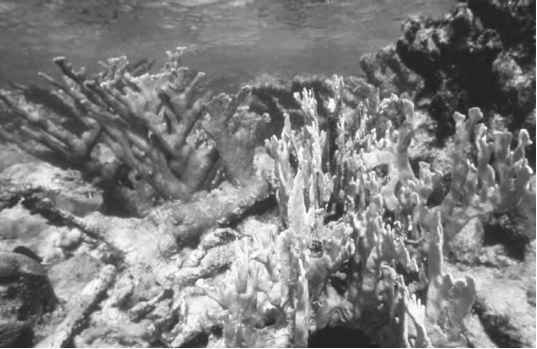 Corals and their single-celled algal inhabitants also provide similar benefits for one another. By harboring algae, corals garner a ready source of carbohydrates for growth. Algae receive nitrogenous wastes, an essential fertilizer needed for photosynthesis, and a protective internal environment within the host animal. Obligate positive interactions are not always symbiotic. A good example is the highly specific interaction between the figs and their fig wasp pollinators. There are more than 900 fig species on earth, each dependent on a particular fig wasp pollinator. These relationships have evolved by means of tightly coupled genetically determined traits that produce a high degree of specialization and dependence. Many other positive interactions are facultative. They are beneficial to at least one participant, but not required for survival under all conditions (Morin, 1999; Stiling, 1999). Facultative interactions typically do not require close living arrangements, because of the lack of specificity in the relationship and the intermittent or minimal positive effects. These interactions are important under some situations—for example, when physical stress is high, resources are limiting, or during certain life stages. In this way, the interaction can be broken or resumed, depending on its usefulness. 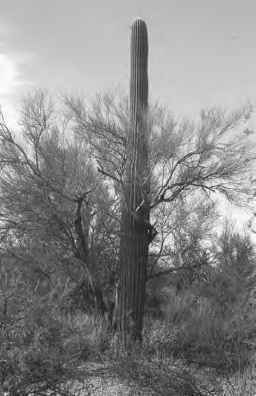 A good example is the relationship between the palo verde tree and saguaro cactus from the Sonoran Desert of North America. As seedlings, the saguaro cacti benefit from the physical and biological protection created by the palo verde tree. But over time, as the Saguaro grows and is less vulnerable to water stress and herbivory, the positive effects become neutral or negative, even though the two species live close together until they die. Another example is the seed dispersal services of fruit-eating birds, bats, and ants. Under some conditions, seed dispersal has advantages for plants, by providing new colonization sites or escape from predators. But if seeds are deposited in caves or other sites that are inhospitable, the interactions become negative. Positive interactions can play a substantial role in promoting biodiversity by increasing species alliances and thus coexistence (Hacker and Gaines, 1997; Morin, 1999; Stil-ing, 1999). In the past, ecologists focused on the novelty and unique nature of positive interactions, but more recent theoretical and empirical research predicts that positive interactions are common and significant forces in nature. Their importance depends not only on their strength but also on the influence they have on other species in the community. Not all positive interactions are exclusive partnerships. Some positive interactions act in a general and flexible fashion that reaches many other, distantly interacting species. These indirect effects arise when a direct interaction is transmitted to a third species, providing food, habitat, or other services. In turn, the third species interacts with other members of the community that may receive some part of the benefit. large effect on species diversity because of its strong but general multiple-species effect that creates a number of indirect opportunities for other species. Recognizing that complex interaction webs contain important direct and indirect positive associations allows an expanded view of the mechanisms controlling species diversity in a variety of natural systems worldwide. Bertness, Mark D. 1999. The Ecology of Atlantic Shorelines. Sunderland, MA: Sinauer; Hacker, Sally D., and Steven D. Gaines. 1997. "Some Implications of Direct Positive Interactions for Community Species Diversity." Ecology 78:1990-2003; Morin, Peter. 1999. Community Ecology. Malden, MA: Blackwell; Stiling, Peter. 1999. 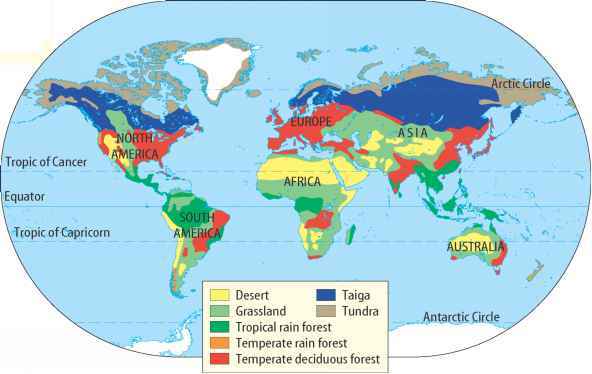 Ecology: Theories and Applications. Upper Saddle River, NJ: Prentice Hall.